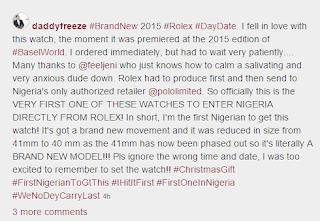 CHECHESMITHNATION : Freeze Of CoolFM Flaunts His Newest Love The 2015 Rolex DayDate Wristwatch Worth Over N7m! 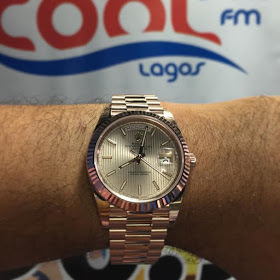 Freeze Of CoolFM Flaunts His Newest Love The 2015 Rolex DayDate Wristwatch Worth Over N7m! 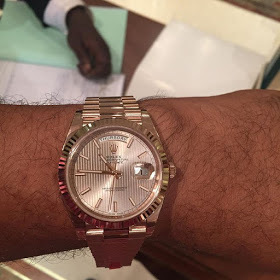 Daddy Freeze, of CoolFM showed-off this luxurious brand new 2015 Rolex Daydate piece on his Instagram page, and went on to congratulate himself for being the first Nigerian to own and rock the wristwatch. 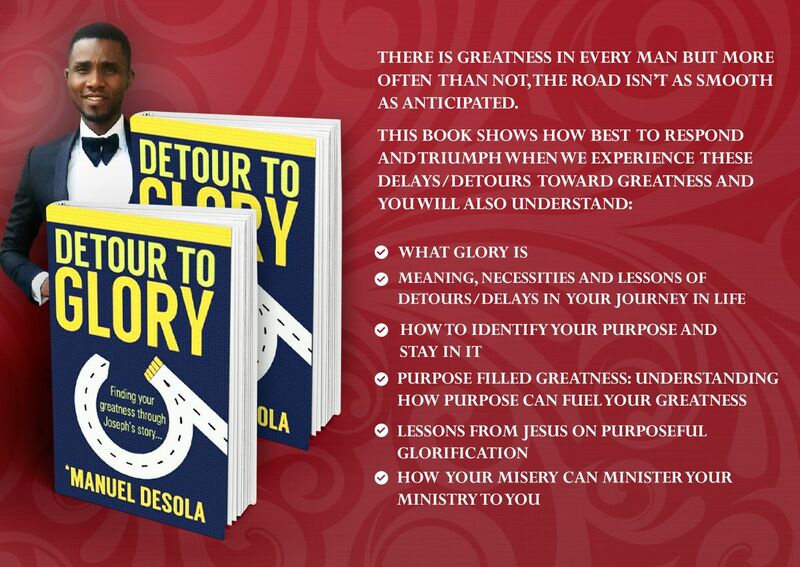 Well, if you are one of the "Thomas's" of our time; doubting the money involved here ne...please Google is your friend oo. 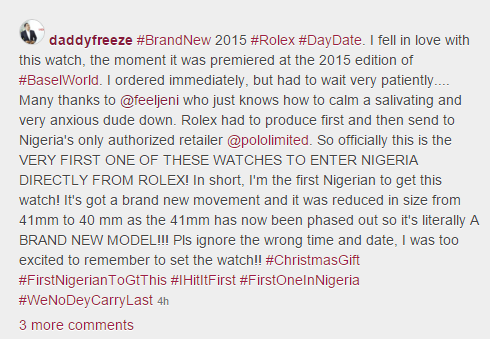 Take a look at what he said below.